The annual spread of e-Commerce worldwide shows that shopping habits are set to continue on the online path. Benchmark studies, like the one drafted by consulting firm Frost & Sullivan, confirm this growth. Global sales through e-Commerce are forecast to reach 9.8 billion dollars in the year 2020. This means an increase of 30% compared to 2017. In the B2B (Business-to-Business) area, the trading volumes in e-Commerce are currently higher than for the B2C (Business-to-Consumer) sector, and the trend is forecast to continue. In 2020, the volume of e-commerce between companies will be 50% greater than between companies and consumers. This scenario means that companies operating in the B2B sector must adapt to the demands of their clients and undertake the digital transformation required by e-Commerce; and not only to increase their market share, but to stay in it. One of the important reasons that companies have to embark on e-commerce is clear from the study “Mastering Omni-Channel B2B Customer Engagement”, by Forrester Consulting. The report states: “The demands of B2B buyers have changed the rules of the game for sellers in this business area. Buyers, conditioned by their personal experiences as consumers and encouraged by digital technologies, expect a consistent and personalized experience at each stage of the purchasing process”, in other words, like what takes place in the B2C field. With the adoption of EDI (Electronic Data Interchange) systems, companies operating in the B2B scope have already benefited from their production processes and responded efficiently to their customers’ demands. EDI system solutions, like those provided by EDICOM, let you connect with any retailer, supplier or manufacturer from a single communications platform, able to maintain a fluid exchange of commercial messages with any supplier: orders, despatch advices, delivery notes, invoices, etc. All this in a secure, automated and immediate environment. Sectors such as fashion or logistics were the first to clearly perceive the advantages EDI might offer their businesses. The spread of e-Commerce, the increase in online orders and increasing demand for immediacy in deliveries give rise to the need to optimally and instantly manage supply chain and stock management information. This is where EDI comes in as a key factor. By processing the business documents exchanged in any B2B relationship electronically and automatically, companies get instant information on the status of their goods and can quickly forecast and manage stocks or new orders. Allows integration of communications with companies’ in-house IT systems. Companies’ administrative, management and logistics processes optimized. Quicker turnaround times in goods receipt and delivery. Enhanced security and confidentiality in communications. Economic costs kept down by computerizing all the company’s communication processes. 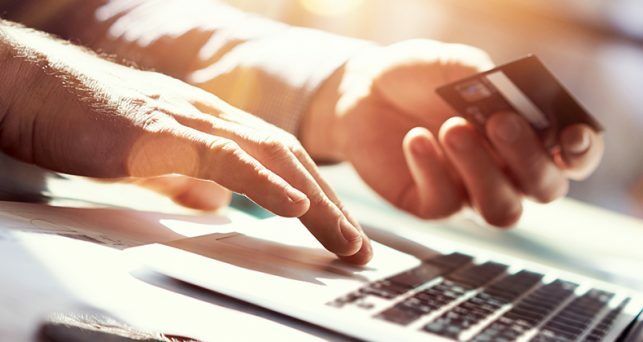 With the changing habits of consumers and companies around e-commerce, companies must also adapt to meet the expectations of immediacy, security and availability that today’s online shopping demands. EDI does not connect with the consumer directly, but provides businesses with better management of all the information handled and, in consequence, a better final consumer experience.